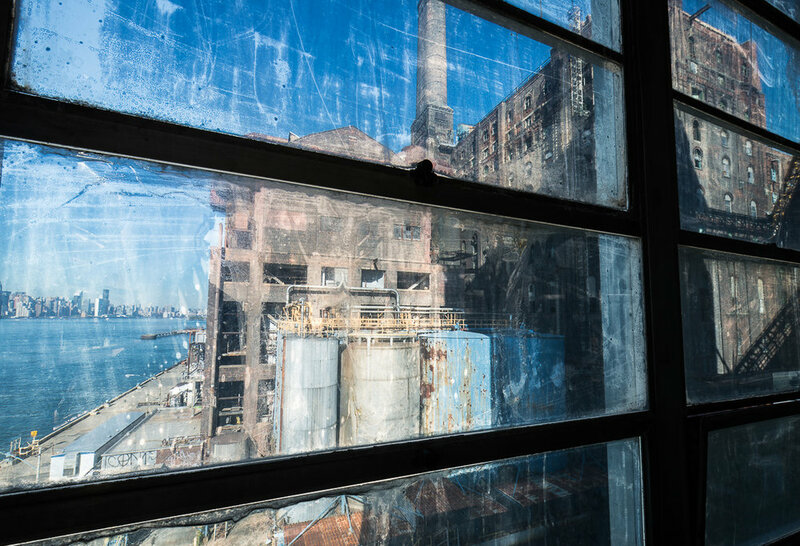 Domino Sugar Refinery Photos by Paul Raphaelson. Recently, The Hudson Company was honored to be selected to custom mill 45,000 board feet of Reclaimed Heart Pine Beams and Mixed Softwood Decking salvaged from Williamsburg's historic Domino Sugar Refinery. Rich in over a century of colorful history (the factory complex was built in the 1880s and was once the largest of its kind in the world), the riverfront Domino facility was an icon of the Williamsburg skyline for more than a century. 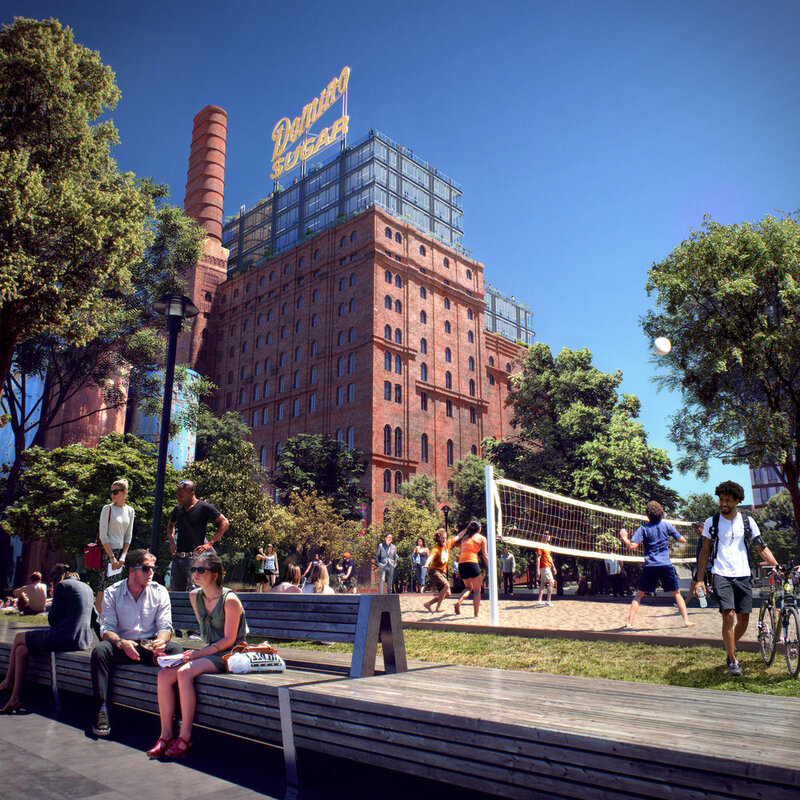 And although the refinery is now gone, much of the grand old icon of New York's industrial past is being preserved in an innovative and sustainably-minded way. After being salvaged by Brooklyn-based developers Two Trees, the reclaimed wood from the Domino facility was transported to our Pine Plains, NY mill to be de-nailed, graded, planed, and profiled for use as park benches, furniture, and other on site décor for the buildings and park structures that will replace the old factory (exciting details and timelines for the Domino Redevelopment Project can be found here). Now that much of the original manufacturing facility is gone, Two Trees, along with SHoP Architects and James Corner Field Operations, have developed a vision for the future that preserves a number of relics from the historic Domino complex: including two 80-foot tall historic cranes, large cylindrical syrup cranes, and more than twenty stone columns from facility's warehouse. Along with the new luxury and affordable housing units being built on the site of the old Domino complex, the developers are executing a master plan that includes community-focused gardens, public parks, playgrounds and sports fields. 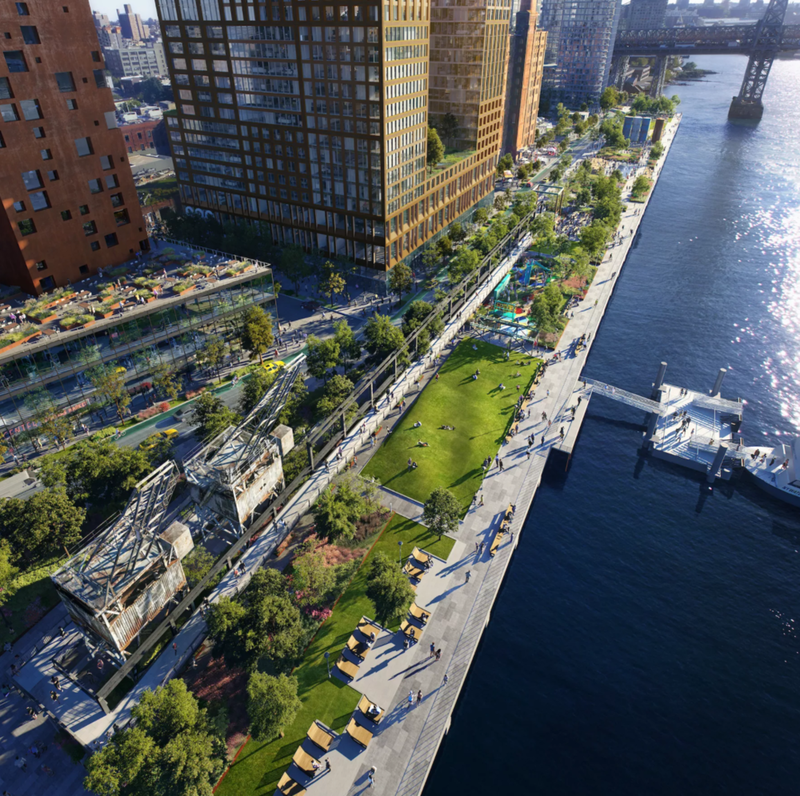 Stay tuned to www.thehudsonco.com in the coming months, where we will be sharing more about our involvement in this exciting development, including imagery and details on how the reclaimed wood from inside the Domino factory is put to use in the Domino Redevelopment Project. In the meantime, you can learn more about Two Trees here, more about SHoP Architects here, more about James Corner Field Operations here, and see more of Paul Raphaelson's pre-demolition Domino Sugar Refinery photos here. Domino Redevelopment renderings by Two Trees Management. The Hudson Company's Select Harvest White Oak [Barley Finish], shown above as installed in New York's exclusive Spice Warehouse, celebrates the rustic nature of White Oak and is inclusive of knots, sap wood, and grain variation. The material's grain structure invites penetrating stains or can be fumed to create a warm walnut-like tonality. 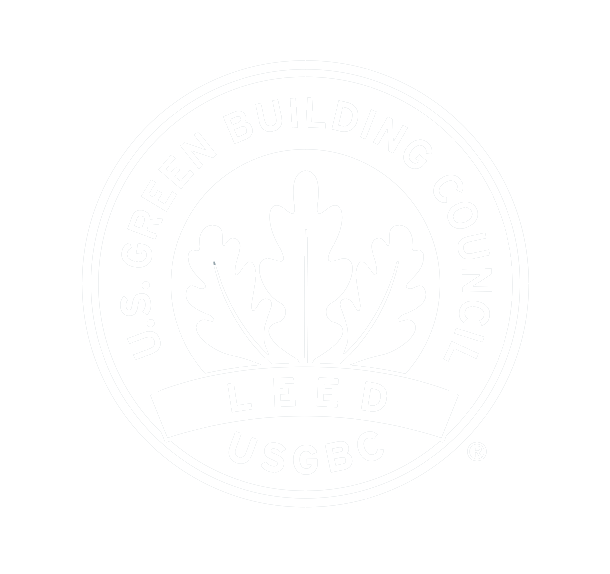 Our Select Harvest White Oak [Barley Finish] floors are pre-finished with a low-VOC finish. Specifications: 3/4" x 4-8" x 3-14'. Tongue & Groove. End Matched. Micro-Beveled. New Face. Solid or Engineered. Pre-finished. Learn more or get a quote for your next project here. Writing for The Wall Street Journal, Kelly Crow notes that the design of art museums has traditionally fallen within two camps: classicism or stark modernity. [Yet] when the Whitney began considering designs more than a decade ago, Adam Weinberg, the director, said he asked architects for the exact opposite. In crafting the over 50,000 square feet of Reclaimed Heart Pine flooring for the new Whitney Museum, The Hudson Company is honored to be a part of this landmark of innovative, contextual, and culturally-significant architecture. The industrial history of the Reclaimed Heart Pine floors (sourced from decommissioned American factories) supports the Whitney’s mission to create a space that Director Weinberg calls, 'rough and ready' artist’s canvas. The nature and dimensions of the Reclaimed Heart Pine flooring, along with it's intentionally flexible profile, allows for the floors, like so much at the new Whitney, to be modified to best fit the needs of the museum, artists, and audiences using the space. Click for more details about The Hudson Company Reclaimed Heart Pine [Chalk Finish] flooring featured throughout the new Whitney Museum of American Art. Click to learn more about The Hudson Company + Whitney Museum Design Installation. Click to watch the new Hudson Company Video. Detail of Reclaimed Heart Pine [Chalk Finish] installed at new Whitney site. Floor Install, NYC Skyline in the background. All Installation Photos by Martin Hyers of Gentyl&Hyers Photography for The Hudson Company. Cover photo by Max Touhey for ny.curbed.com.